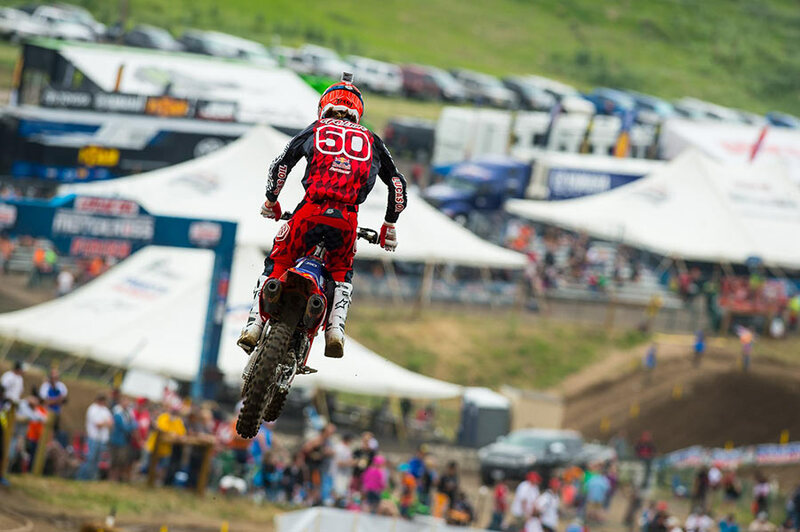 Round three of the Lucas Oil Pro Motocross Championship at Thunder Valley Raceway in Denver, Colorado saw all three competing Troy Lee Designs riders inside the top ten overall. The fourth rider, MAVTV rider Shane McElrath, is still recovering from a practice crash last week that has left him bruised and sore. Shane will return when he is 100%. The opening 450 moto found Malcolm Stewart just inside the top ten as the gate dropped. 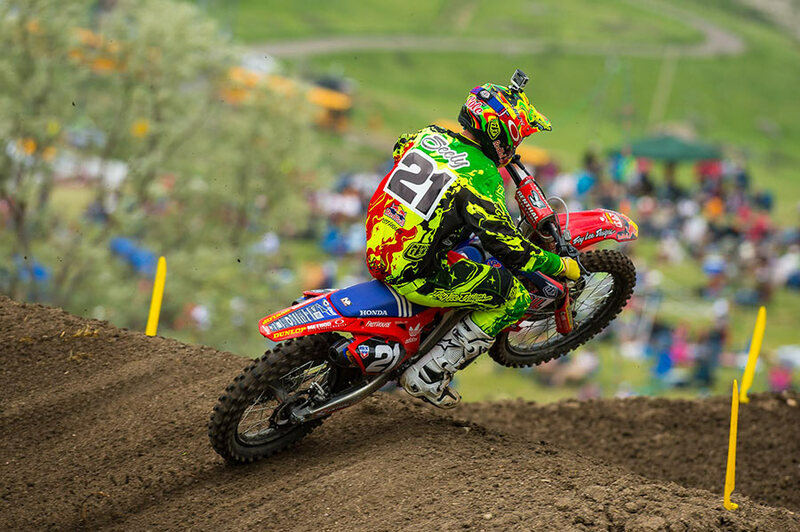 The rough, hilly Colorado circuit was taxing on rider and machine but Stewart made several key passes and crept into seventh spot where he would finish the moto. The second moto was more of a challenge for Stewart as he wouldn't even be in the top thirty coming around the first turn. His botched start didn't discourage him, however, and he rode a determined race to finish eighth as the checkered flag flew, and score seventh overall on the day. Considering the effort he put into moto two it was an excellent day for Malcolm. The 250 class proved to be another great weekend for Jessy Nelson. The Troy Lee Designs / Lucas Oil / Honda rider yanked a big holeshot and took off like a bullet. For the first ten or fifteen minutes he held a ten-second lead and it looked like he was going to get his first moto win! The new experience of leading a race wore on Nelson though, and he made several mistakes which allowed the pack to catch back up. Jessy dropped to third quickly, but was able to slide back into the number two position before the end of the race and score a career-best finish. Nelson's teammate Cole Seely didn't get a good start but pushed throughout the race and ended up eighth at the finish of moto one. The second moto start wasn't good for either rider, and they were forced to drive through the pack from 15th (Seely) and 20th (Nelson) together. After 35 minutes of riding their hearts out, they crossed the checkers in eighth and ninth giving Jessy a fourth overall and earning Cole a ninth. Malcolm Stewart currently sits in sixth position in the 450 class standings. In the 250 class Jessy is sixth and Cole is eleventh. 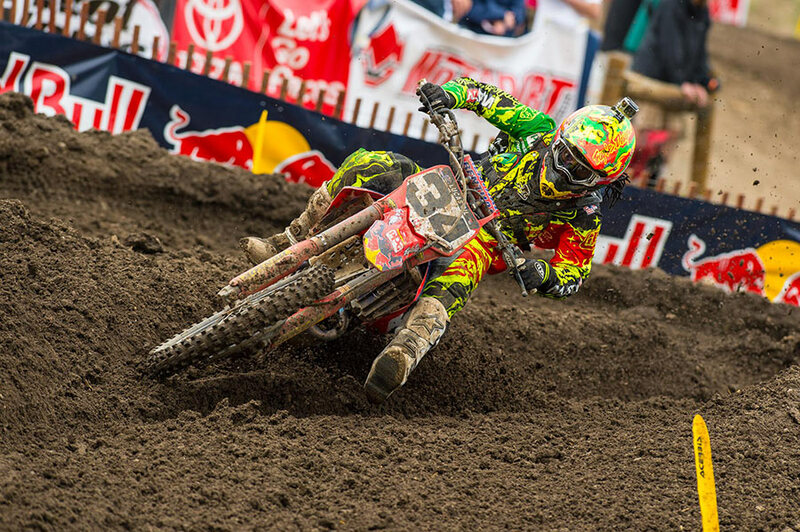 Look for all three riders to this weekend in Pennsylvania as the High Point National kicks off round four of the Lucas Oil Pro Motocross Series. 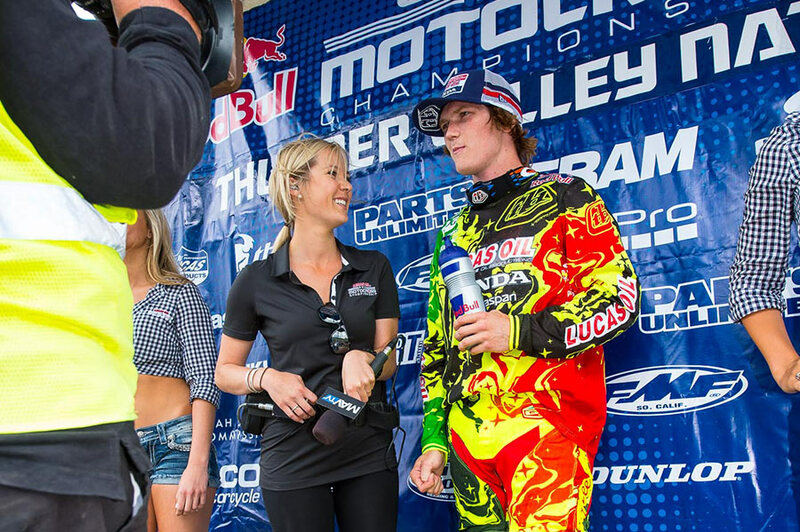 The TLD riders wore the 2015 SE Pro and 2015 GP Air gear at Thunder Valley. Both lines, along with the 2015 Moto Helmets are now available online and at your local TLD retailer.